Shanghai, April 8, 2019 – Shanghai Disney Resort today began inviting guests to enter the unseen lives of endangered species across the world at the all new LOVE for Wildlife Photo Exhibition at Disneytown’s Lakeshore. 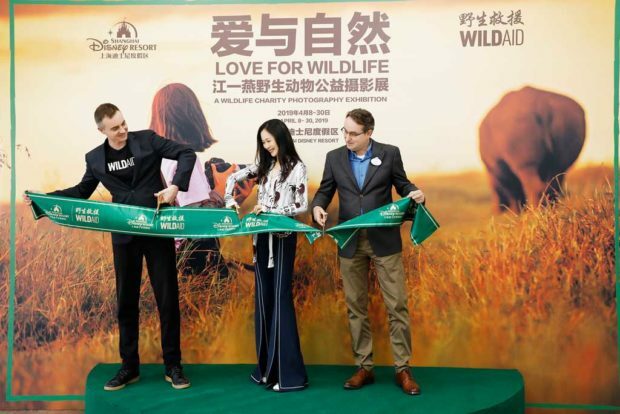 To celebrate the grand opening of this new exhibit, the exhibition’s photographer, celebrity, and WildAid Ambassador Jiang Yiyan joined the leadership of Shanghai Disney Resort and WildAid at a special opening ceremony held earlier today. As an exciting highlight of this year’s Earth Month celebrations, the exhibition continues to shine a spotlight on the resort’s commitment to protecting wildlife and their habitats, while inspiring guests and Cast Members to think and act with a conservation mindset. 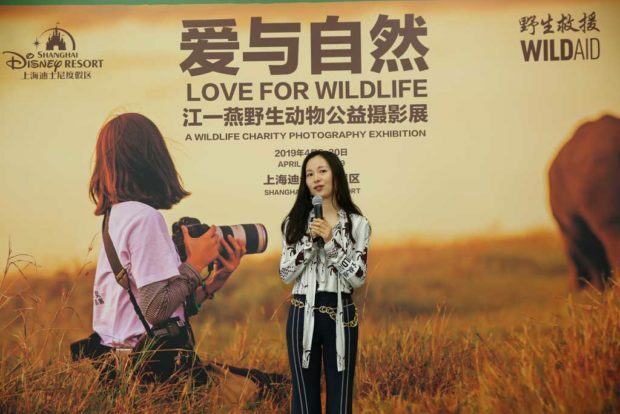 The LOVE for Wildlife Photo Exhibition is jointly hosted by Shanghai Disney Resort and WildAid, an environmental non-profit organization with a mission to end illegal wildlife trade through a campaign of public awareness that aims to reduce demand for endangered wildlife products such as elephant ivory, rhino horn and shark fin. Held on the second floor of the Lakeshore building at Disneytown, the exhibition displays dozens of images by Jiang Yiyan and is free to all guests from April 9 – 30. The photos on display highlight a wide range of endangered wildlife and their natural habitats, and convey the message that every animal, endangered or otherwise, requires a healthy ecosystem to thrive. 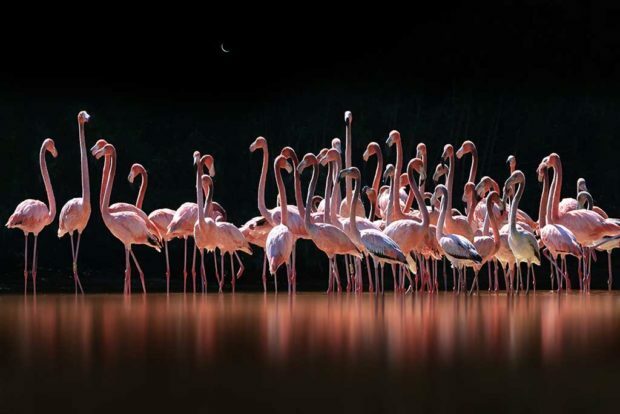 Featuring a series of emotional stories and scenes, the exhibit’s photographs tell the story of the animal world and how it is being impacted by the actions of human beings. As a company with a long-standing commitment to environmental protection and wildlife conservation, Shanghai Disney Resort is celebrating Earth Month by spreading awareness of the many ways we can change small things in our lives to help better care for the planet and protect the fragile ecosystems that help sustain all life. Throughout April, guests at Shanghai Disneyland can interact with Xiao Tui, the magical recycling bin, to learn more about waste sorting, while guests at Disneytown can participate in fun nature-themed games and more. 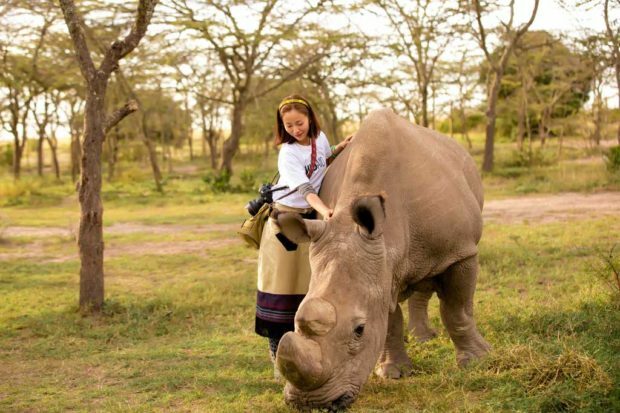 This month, the resort’s Cast Members are also being encouraged to connect with nature and think with an environmental mindset, with a wide range of activities that include bringing friends and family members to a special screening of Disneynature’s Born in China at The Walt Disney Grand Theatre as well as fun educational activities backstage to help encourage Cast Members to respect nature. 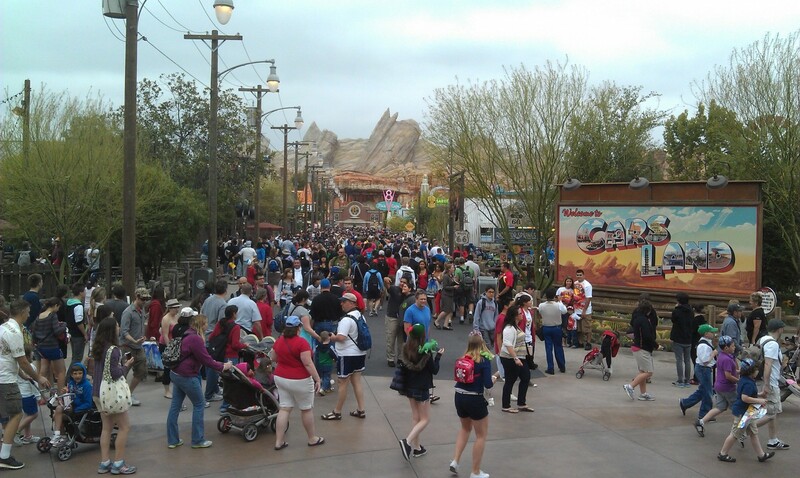 The Blue Sky Cellar view of #CarsLand this morning.